ATF(Alcohol, Tobacco, & Firearms) was a large gaming clan(approx. 400 members at the time)that spanned over 20 different online PC games. I joined initially as a member at the lowest level (rank of private) but quickly rose to a position of leadership after demonstrating good ideas, level-thinking, and dedication. I helped co-lead the clan for over 3 years. The clan was structured like the US military with different "divisions" for different games. The member demographics included virtually all ages, races, both sexes, and all walks of life. The clan slogan was "The Best Damn Family on the Net" and I was responsible for having professional T-shirts and other merchandise made for the clan. 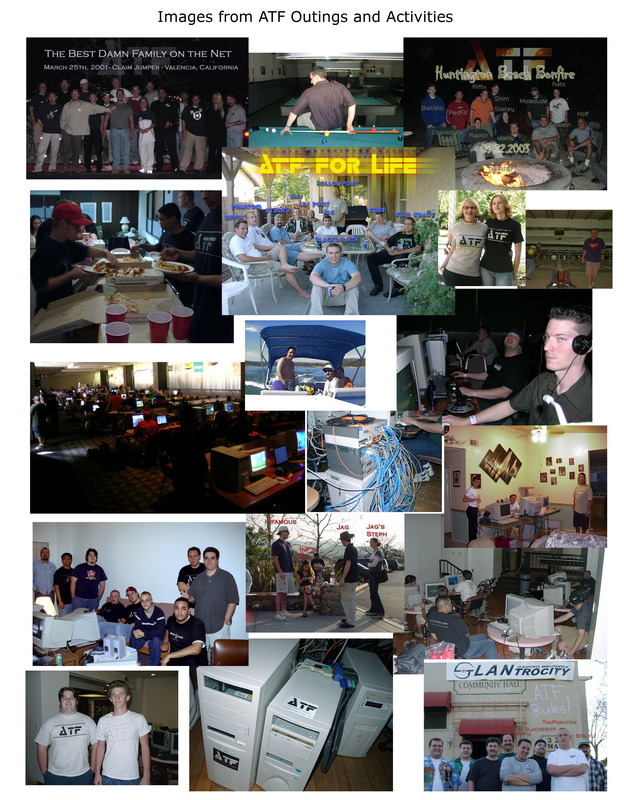 I also organized over 10 outings and LAN parties that included members from all over the world. ATF Clan is still going strong. More information on the ATF Clan can currently be found on their website at www.atfclan.com.